Christine Reilly heads the firm’s consumer protection, advertising and competition practice. She defends companies in consumer class actions and other major civil litigation in various areas, including consumer protection, unfair competition, and false and deceptive advertising. She also represents clients facing investigations and proceedings initiated by the Federal Trade Commission, Federal Communications Commission and other federal and state regulatory agencies. While leading Manatt’s Telephone Consumer Protection Act (TCPA) compliance and class action practice, Christine regularly defends companies from claims brought under the TCPA, and she frequently writes and speaks on TCPA compliance. 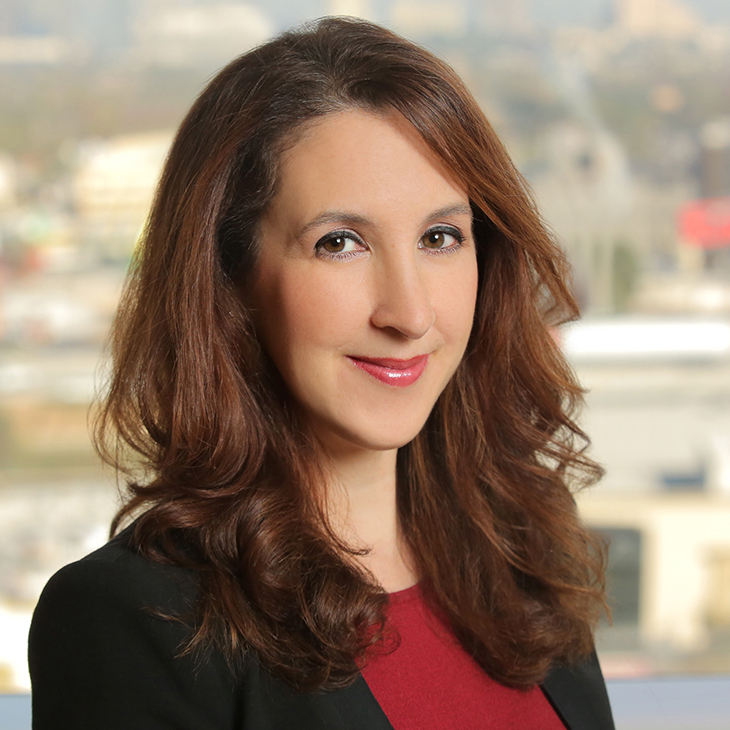 She has significant experience litigating under other federal statutes, including the Federal Trade Commission Act; Electronic Communications Privacy Act; Electronic Fund Transfer Act; Fair Debt Collection Practices Act; and the Magnuson-Moss Warranty Act. Defended a national advertising and digital communications agency in a putative class action alleging that a text message recruiting campaign that the agency undertook on behalf of its client, the U.S. Navy, violated the TCPA. Obtained summary judgment ruling in favor of client on the basis that the agency enjoyed derivative sovereign immunity for acts undertaken on the Navy's behalf. Represented client on appeal before the Ninth Circuit Court of Appeals and U.S. Supreme Court. Defended medical supply company and provider of personalized dentist referrals in class action lawsuits alleging violations of the junk fax rules for unsolicited fax advertisements under the TCPA. Successfully obtained early dismissal of lawsuits. Represented direct marketing company in putative class action alleging the receipt of unsolicited automated telephone calls to mobile phones in violation of the TCPA. Obtained voluntary dismissal of case before a responsive pleading was filed, after demanding substantiation of plaintiff's claims. Defended market research company in a putative class action alleging violations of the TCPA for survey calls made to mobile phones without the subscribers' prior express consent. Early settlement achieved on a class-wide basis. Defended various companies in putative class actions and individual lawsuits alleging violations of the Do-Not-Call, consent and other provisions of the TCPA, including cases involving business-to-business (B2B) telephone calls. Represented health network company in various individual and class actions alleging the receipt of unauthorized automated calls to residential and mobile phones without prior express consent. Obtained voluntary dismissal of putative class actions filed against health and fitness company and hospital medical center alleging the unlawful recording of telephone calls under California's call recording statute, California Penal Code § 632.7. Defended energy drink company selling high-quality health drinks in a putative class action alleging that the company's marketing model violated California's Pyramid Law, Unfair Competition Law and False Advertising Law. Case was resolved on a single plaintiff basis. Defended a global device manufacturer in four consumer class actions alleging that certain tracking software was surreptitiously installed on cellular phones, allowing monitoring of user activity without consumer knowledge or consent. Successfully achieved dismissal of all lawsuits prior to the filing of a consolidated amended complaint in the multi-district litigation case. Defended telephone manufacturer in putative class action alleging fraud, negligent misrepresentation, and violations of California's Unfair Competition Law, False Advertising Law, Consumers Legal Remedies Act, and Song-Beverly Consumer Warranty Act in connection with alleged misrepresentations concerning its phone warranty program. The case was settled on a single plaintiff basis. Defended Internet marketers and their officers in a putative class action alleging violations of the Electronic Communications Privacy Act and various state law claims, including invasion of privacy, when it allegedly stole personal and financial information from consumers during the course of online transactions, and allegedly signed up consumers for membership products without their knowledge or consent. The court granted defendant's motion to dismiss on all but one claim. The parties thereafter negotiated a class-wide settlement on terms favorable to the company and its principals. Defended restaurant chain in putative class action alleging violations of the California Song-Beverly Credit Card Act. Class-wide settlement achieved on a claims-made basis. Defended global in-flight communications service provider in putative class action lawsuit concerning its automatic renewal subscription plans. Case voluntarily dismissed. Represented Internet marketers and their officers in a FTC enforcement action alleging that the clients' marketing of prepaid debit cards violated Section 5 of the FTC Act, including a contempt trial in federal court. Represented the client on appeal before the Ninth Circuit Court of Appeals and successfully defeated the FTC's motion to modify the court's consent order, which essentially requested a permanent ban on the clients' business. This is one of the few occasions in which the FTC has been denied a request to modify a consent order. Represented a software company and its officers before Ninth Circuit Court of Appeals on order granting summary judgment to the FTC under Section 5 of the FTC Act with respect to the clients' Internet check creation software, which allegedly assisted fraudsters in the creation of fraudulent checks without consumer knowledge. Represented the former owner of a credit card processing company in successfully defeating the FTC's attempt to secure a temporary restraining order, imposition of a court-appointed receiver and asset freeze that would have restricted the defendants from selling their services and having access to their assets. Defended national arbitration provider in regulatory action brought by the City of San Francisco alleging client's consumer arbitration business violated California's Unfair Competition Law. Represented mortgage company and its principals in responding to a civil investigative demand from the Consumer Financial Protection Bureau (CFPB). Defended national automotive retail and service chain in weights and measures case filed by over a dozen counties and several district attorneys concerning alleged violations of California's Weights and Measures statutes. Speaker, “Telemarketing Litigation is the New Black,” Antitrust Law Spring Meeting, American Bar Association, March 28, 2019. Speaker, “The Latest and Greatest: TCPA Consent and Hot Topics,” 2019 TCPA Compliance Summit, Contact Center Compliance, March 12, 2019. Speaker, “TCPA Litigation: New Strategies for a Changing Environment,” Advanced Data Privacy, Cybersecurity and TCPA Class Action Litigation seminar, Practising Law Institute, March 8, 2019. Speaker, “Trends and Developments in Class Action Litigation,” webinar, Manatt, Phelps & Phillips, LLP, November 1, 2018. Speaker, “The Impact of the D.C. Circuit Court Decision on the TCPA Litigation Explosion,” TCPA Compliance Summit, July 2018. Speaker, “Major TCPA Updates: What You Need to Know to Avoid the Piranhas,” SQM 19th Annual Customer Experience Conference, May 24, 2018. Speaker, “Consumer Financial Services Standing Committee Meeting,” California Lawyers Association, May 17, 2018. Speaker, “Repositioning Your TCPA Strategies in a Post-ACA World,” Contact Center Compliance Webinar, May 9, 2018. Speaker, “The TCPA Is Calling: Everything You Should Know About Healthcare Communications and the TCPA,” California Society for Healthcare Attorneys, April 13, 2018. Speaker, “HIPAA and Emerging Technologies, Protecting Privacy When Communicating in the Digital Age,” webinar, Blue Shield, March 29, 2018. Speaker, “D.C. Circuit Court Decision: The Impact on Dialers, Reassigned Numbers and Consent Revocation,” webinar, Contact Center Compliance, March 28, 2018. Speaker, “Deep Dive Into D.C. Circuit’s TCPA Decision: What You Need to Know,” webinar, Manatt, Phelps & Phillips, LLP, March 22, 2018. Speaker, “Consumer Protection Snack Bites” webinar, American Bar Association, February 21, 2018. Speaker, “Mediation and Settlement Strategies for Data Security, Data Privacy and TCPA Class Action Suits,” Advanced Data Privacy, Cybersecurity Breach and TCPA Class Action Litigation Strategies and Defenses 2018, Practising Law Institute, San Francisco, California, January 26, 2018. Speaker, “TCPA Essentials,” 2017 TCPA Compliance Summit, Contact Center Compliance, Saint Pete Beach, Florida, December 5, 2017. Panelist, Danal’s TCPA Compliance and Identity Summit, Sunnyvale, California, February 21, 2017. Speaker, “TCPA Class Action Litigation Roundtable,” Advanced Data Privacy, Cybersecurity Breach and TCPA Class Action Litigation Strategies and Defenses 2017, Practising Law Institute, San Francisco, California, January 20, 2017. Speaker, “TCPA Basics,” Contact Center Compliance Summit, Clearwater Beach, Florida, December 6, 2016. Speaker, “Fortify your TCPA Defenses – Best Practices for Protecting Your Company Against TCPA Claims,” webinar, LiveVox, October 31, 2016. Speaker, “Think B4 U Text: Avoiding Big $$ Liability Under the TCPA,” webinar, State Bar of California In House Interest Group, IP Law Section, October 25, 2016. Speaker, “TCPA Class Action Panel,” PACE 2016 TCPA Washington Summit, Washington, D.C., September 19, 2016. Speaker, “Calling All Customers: Introduction to the TCPA,” Wolters Kluwer Law Department Summit, September 16, 2016. Speaker, “New Developments in TCPA Class Actions,” Contact Center Compliance Summit, Chicago, IL, July 28, 2016. Speaker, “Avoiding TCPA Pitfalls: Essential Guidance for Retailers,” webinar, Manatt, Phelps & Phillips, LLP, June 28, 2016. Speaker, “TCPA Compliance,” SQM Group Inc.’s 17th Annual Contact Center Industry Conference, May 19, 2016. Speaker, “TCPA Compliance 2.0: A Deep Dive on FAQs,” 2016 PACE Convention and Expo, Orlando, FL, April 3, 2016. Speaker, “2015 Year in Review & 2016 Forecast Customer Engagement Compliance” webinar, CompliancePoint, February 18, 2016. Speaker, “Advanced Issues in Class Action Settlements,” Practising Law Institute, San Francisco, CA, January 22, 2016. Speaker, “Staying Compliant in a Sea of Change,” 2015 PACE Washington TCPA Summit, September 28, 2015. Speaker, “TCPA Compliance for Mobile Communications Marketing: Avoiding Penalties and Lawsuits” webinar, Strafford Publications, September 24, 2015. Speaker, “Everything Right is Wrong Again? The Future of TCPA Litigation After the FCC's July 2015 Omnibus Ruling,” American Bar Association, August 25, 2015. Speaker, “The July 10, 2015 FCC Declaratory Ruling: What You Need to Know,” Contact Center Compliance Summit, Chicago, IL, August 4, 2015. Speaker, “Practical Tips for TCPA Compliance,” Contact Center Compliance Summit, Chicago, IL, August 4, 2015. Speaker, “Call to Action: Understanding and Complying With the FCC’s New TCPA Ruling” webinar, Manatt, Phelps & Phillips, LLP, July 30, 2015. Speaker, "Proceed with Caution: Navigating Safely Through the Intersection of the TCPA and HIPAA" webinar," Bloomberg BNA, July 23, 2015. Speaker, "FCC's TCPA Ruling - An Insider's View," NobelBiz, Boston, MA, July 19, 2015. Speaker, "Compliance Webinar: FCC TCPA 2015 Declaratory Ruling Analysis" webinar, Contact Center Compliance, July 15, 2015. Speaker, "Inside Information on New FCC TCPA Declaratory Ruling" webinar, Contact Center Compliance, June 22, 2015. Speaker, "New Tools, Opportunities & Risks of Mobile Behavioral Tracking and Text Messaging Campaigns," International Association of Privacy Professionals, Los Angeles, CA, April 29, 2015. Speaker, "Legal Compliance Update: What You Need to Know to Avoid TSR and TCPA Liability," PACE Convention & Expo, April 21, 2015. Speaker, "Hot Developments with the Telephone Consumer Protection Act" webinar, American Bar Association, February 18, 2015. Speaker, "Mobile Communications Marketing: Effective Compliance Strategies to Avoid Penalties and Lawsuits Under the TCPA" webinar, Contact Center Compliance, December 3, 2014. Speaker, "Mobile Marketing Key Legal Issues: Mobile Technology, Location-Based Services, Mobile Commerce" webinar, Strafford Publications, November 18, 2014. Speaker, "TCPA Class Action Claims: What is Happening and Where are They Going? ", Federal Communications Bar Association Enforcement Committee, Washington, D.C., October 20, 2014. Speaker, "New TCPA Rules for Mobile Communications Marketing: Strategies to Avoid Penalties and Lawsuits" webinar, Strafford Publications, August 6, 2014. Speaker, "Ring! Ring! The TCPA is Calling," Contact Center Compliance Summit, Scottsdale, AZ, June 25, 2014. Speaker, "Privacy/TCPA Class Actions: State of the Law, Claims and Defenses, What Does the Future Hold?," National Consumer Class Action Conference, Bridgeport Continuing Education, Chicago, IL, June 12-13, 2014. Speaker, "The Telephone Consumer Protection Act: How To Comply Without Compromise" webinar, Nuance Communications, June 5, 2014. Speaker, "Ring Ring: The Telephone Consumer Protection Act Is Calling," DRI Business Litigation Seminar, Washington, DC, May 8-9, 2014. Speaker, "Lessons in Collections Compliance for Outbound Communications" webinar, Genesys, April 2, 2014. Speaker, "TCPA: Comply Without Compromise," Nuance Communications Summit, Palm Springs, CA, March 11-12, 2014. Speaker, "You Make the Call: What You Should Know About the Telephone Consumer Protection Act," Advertising, Marketing & Media Law Litigation and Best Practices, Bridgeport Continuing Education, Los Angeles, CA, March 7, 2014. Speaker, "Consumer Protection Update for January 2014" webinar, American Bar Association, February 13, 2014. Speaker, "How to Obtain Effective Consumer Consent For Debt Collection Communications" webinar, Contact Center Compliance, December 11, 2013. Speaker, "How To Obtain Effective Consumer Consent For Debt Collection Communications," 21st Annual Financial Services Collections + Operational Risk Conference, Chicago, IL, October 21-23, 2013. Speaker, "Are You Ready? Complying With the FCC's New TCPA Consent Regulations" webinar, Contact Center Compliance and Connect First, October 10, 2013. Speaker, "Hot Developments with the Telephone Consumer Protection Act" webinar, American Bar Association, September 25, 2013. Speaker, "Are You Ready for the Changes to the Telephone Consumer Protection Act Going Into Effect in October 2013?" webinar, Loeb & Loeb LLP, September 18, 2013. Speaker, "You Make the Call: What You Should Know About the Telephone Consumer Protection Act to Make Sure It Isn't the Wrong One," KnowledgeNet, International Association of Privacy Professionals, Los Angeles, CA, May 8, 2013. Speaker, "Consumer Protection Update for August 2012" webinar, American Bar Association, September 21, 2012. Co-author, “Proposed legislation, testimony and proposed rulemaking on robocalls,” International Law Office, July 11, 2018. Co-author, “Verification fax found to be advertising,” International Law Office, June 20, 2018. Co-author, “The ABC’s of the TCPA,” California Litigation, December 2017. Co-author, ”Reaching Customers through Ringless Voicemail: A Legal Perspective,” Customer Magazine, July 6, 2017. Co-author, “Why a Court Ruling on Faxing Matters to the Device Industry,” MD+DI, May 7, 2017. “Call Me, Maybe: The TCPA’s Impact on Technology Used for Consumer Communications,” Litigation Magazine, ABA Section of Litigation, Spring 2017. Co-author, “No Opt-out? No problem: DC circuit overturns the FCC’s solicited fax rule,” Becker’s Hospital Review, April 10, 2017. Co-author, “New Ad-Friendly FCC Trumps Old, Rule By Rule,” Target Marketing, April 5, 2017. FCC Says On-Demand Text Messages Do Not Violate the TCPA, Response Magazine, August 11, 2015. Compliance Tips for Outbound Debt Collection Communications – Meeting FDCPA, CFPB and TCPA Requirements, Genesys Business White Paper, Contributor, November 2014. New AAA Consumer Arbitration Rules Go Into Effect September 1, Client Alerts/Reports, August 2014. Ninth Circuit Rules That Redbox's Collection of Customer Zip Codes Falls Under "Deposit" Exception to California's Song-Beverly Act, Client Alerts/Reports, July 2014. Recording Cellphone Calls in California is Risky for Companies, Law360, May 15, 2014. California Federal Court Requires Pre-Recording Notification of All Cell Phone Calls Under California Invasion of Privacy Act, Client Alerts/Reports, April 2014. Illinois Appellate Court Holds Insurer Liable for TCPA Class Action Settlement, Client Alerts/Reports, February 2014. Calling 7th Circuit: Robocalls And Federal Preemption, Law360, January 13, 2014. They're Here: The FCC's New Regulations Under the TCPA — Now What?, ACC Docket, October 25, 2013. The New Written Consent Requirements for Telemarketing Calls under the TCPA Go Into Effect on October 16, 2013 – Are You Ready?, Client Alerts/Reports, October 2013. Hold the Phone: Dramatic Increase in California "Illegal Recording" Class Actions, Client Alerts/Reports, August 2013. Power of Arbitration Agreements In TCPA Class Actions, Law360, August 6, 2013. Commissioner Edith Ramirez Elevated to Chair of Federal Trade Commission, Client Alerts/Reports, March 2013. The Ninth Circuit Amends TCPA Opinion in Meyer v. Portfolio Recovery Associates and Provides Relief to Debt Collection Industry, Client Alerts/Reports, January 2013. Are you Prepared for the New TCPA Changes Effective January 14, 2013?, Client Alerts/Reports, January 2013. FCC Rules Texts Confirming Opt-Out Do Not Violate TCPA, Client Alerts/Reports, December 2012. Ninth Circuit Holds That Best Buy's "Dual Purpose" Calls Regarding Its Rewards Program Violate TCPA, Client Alerts/Reports, November 2012. Ninth Circuit Takes Narrow View of Prior Express Consent in Debt Collection Case, Client Alerts/Reports, November 2012. New York State Passes Bill That Applies Its Telemarketing Laws to Out-Of-State Telemarketers and Adds New Requirements for Prerecorded Messages, Client Alerts/Reports, September 2012. Advertiser Not Liable under TCPA Unless It Controls Manner and Means of Text Message Campaign, Client Alerts/Reports, July 2012. Savvy Scammers May Put Bipartisan Robocall Bill to Test, Bloomberg Law, March 4, 2019. Telemarketing Lawsuits Dial Up the Pain, Business Insurance, March 3, 2019. ‘Stop Robocalling Me!’; ‘I Didn’t!’ Wall Street Journal, December 31, 2018. FCC Ditches Junk Fax Opt-Out Rule As Bigger Issues Loom, Law360, November 19, 2018. High Court May Upend TCPA Litigation Landscape, Law360, November 14, 2018. Retailers Await FCC Robocall Decision Amid Court Splits, Bloomberg BNA, November 09, 2018. Meet the Robocall Avenger: Andrew Perrong, 21, Sues Those Pesky Callers for Cash, Philadelphia Inquirer, November 2, 2018. Critical Mass: Class Action Lawyers Searching for Clues to Kavanaugh’s Approach. Plus, RoundUp Cancer Claim Goes to Trial, Law.com Critical Mass, July 11, 2018. TCPA Rulings Give Cos. Liability Shield, But No Knockout, Law360, July 6, 2018. DC Circ. Delivers Relief, But Not Clarity, With TCPA Ruling, Law360, March 16, 2018. Flu Shot Text Row Boosts TCPA Defense as Big Ruling Looms, Law360, January 9, 2018. Improper Robocall Consent Revocation Lets Kohl’s Off the Rack, Privacy Law Watch, August 21, 2017. Dish TCPA Damages Could Prompt Tighter Third-Party Monitoring, Consumer Electronics Daily and Washington Internet Daily, June 7, 2017. 2nd Circ. Ruling Offers Way Out of TCPA Litigation Jungle, Law360, June 23, 2017. Circuit Finds Consumers Bound by Contracts in Robocall Suit, New York Law Journal, June 22, 2017. TCPA Defendants Down, But Not Out, With 'Pick-Off' Ruling, Law360, June 22, 2017. $280M Dish TCPA Penalty May Make Settling More Attractive, Law360, June 8, 2017. Dish TCPA Damages Could Prompt Tighter Third-Party Monitoring, Consumer Electronics Daily, June 7, 2017. The Rising Costs of Tamping Down Class Actions, Law360 In-Depth, May 2, 2017. TCPA 'Pick Off' Strategy On Thin Ice After High Court Ruling, Law360, April 14, 2017. FCC's Loss On Fax Rule Could Curb Explosion Of TCPA Suits, Law360, March 31, 2017. Post-Spokeo Trends Offer Clues for Standing In Privacy Suits, Law360, February 15, 2017. Spokeo Split: How High Court's Ruling Is Being Interpreted, Law360, December 2, 2016. 3 Factors To Weight In Deciding to Fight or Fold TCPA Suits, Law360, September 16, 2016. Giving Out Mobile Number in Business Emails Could be Consent to Get Texts, Cook County Record, May 11, 2016. 8th Circuit Boosts TCPA Class Certification Bids in Medtox Ruling, Law360, May 4, 2016. SABRE INC: Opinion Shouldn’t Be Classified as “Unpublished,” Class Action Reporter, April 28, 2016. Recent unpublished Ninth Circuit TCPA opinion worth citing in other cases, attorney says, Legal Newsline, March 17, 2016. TCPA Suits Get Another Boost As 3rd Circ. Defines Autodialer, Law360, October 26, 2015. What The FCC Exemption On Healthcare Messaging Means, Health IT Outcomes, August 5, 2015. Autodialers on High Alert Over FCC Ruling, Direct Marketing News, July 30, 2015. FCC exemption opens debate on healthcare messaging, Healthcare Dive, July 16, 2015. Avoid this little-known but costly HIPAA trap, mHealthNews, July 16, 2015. FCC Telemarketing Rule Changes Could Mean More Advertiser Vigilance, AdAge, June 19, 2015. STATE FARM: Court Allows Discovery in TCPA Class Action, Class Action Reporter, April 15, 2015. FCC Junk Fax Ruling Signals Agency's Flexibility On TCPA, Law360, November 7, 2014. FCC Reinforces All Fax Ads Need Opt-Out Notices, Daily Journal, November 4, 2014. FCC Affirms Junk Fax Requirement, But Grants Waivers, Communications Daily, October 31, 2014. TCPA Doesn't Protect Consumers from Texts by Third-Party Vendors, Consumer Eagle, March 11, 2014. 7th Circ. Robocall Ruling To Pad Already Swelling Docket, Law360, November 27, 2013. FTC Loses Bid to Restrain Credit Card Processing Cos., Law360, August 14, 2013. HTC Settlement Brings FTC's Privacy by Design Full Circle, DataGuidance's Privacy This Week, July 2, 2013.